The Employee Retirement Income Security Act of 1974 (ERISA) provides key legal protections to disabled workers. If you or your family member is making a claim for long term disability benefits under an ERISA plan, your claim should be paid in full without any unreasonable delay. Of course, that is not always how the system works; the big insurance companies do not always play by the rule and recovering long term disability benefits can be difficult. At Kantor & Kantor, our South San Francisco long term disability attorneys have the skills and experience needed to hold insurance providers accountable. We will work tirelessly to get you and your family full disability benefits. 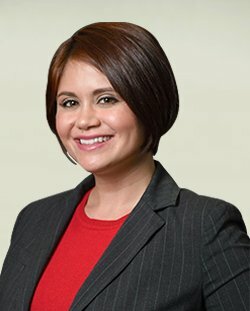 If your long term disability claim was denied in South San Francisco, please do not hesitate to contact our law office for a free review of your claim. With ERISA disability claims, applicants generally only have about six months to file an appeal. If you do not submit your administrative appeal within 180 days, your case may be thrown out. It is imperative that you take action as soon as possible after receiving a disability denial. The sooner you take action, the better your chances of success. Get your long term disability denial letter into the hands of a top South San Francisco ERISA disability attorney. There are unique procedures involved in ERISA disability cases. Beyond the strict deadlines that you must follow, the most important thing that you need to know is that you must submit all relevant evidence in your case directly to the insurance company during the administrative appeal stage of the claims process. With limited exceptions, this is the last point at which you can submit new evidence in your disability case. In other words, if your long term disability case goes to court, the judge will be restricted to reviewing the evidence you already submitted. Our South San Francisco long term disability lawyers can help you put together the strongest appeal. We will carefully review your disability denial letter, investigate your claim, and put together all of the evidence needed to prove your case. By submitting a strong, winning appeal, our team can negotiate from a solid position. In many cases, we are often able to get the big insurance companies to pay out long term disability settlements to our clients. At Kantor & Kantor, our legal team is focused on fighting for the legal rights and financial interests of injured and disabled workers. If your long term disability claim was denied in South San Francisco, we can help. For a free, fully confidential long term disability consultation, please reach out to our law firm today.